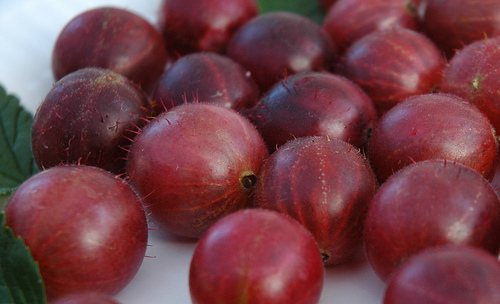 Black Velvet is a cross between the old Red Champagne gooseberry and a hybrid Worcesterberry. Black Velvet makes a strong, upright bush and excels when cordon trained. Easy to grow and heavy cropping with an abundance of small fruits.